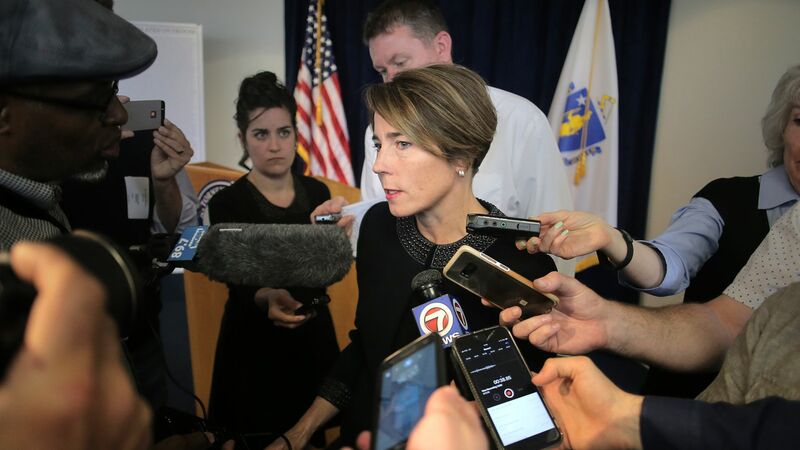 The manufacturers of OxyContin not only engaged in a high-pressure, no-holds-barred marketing barrage, but also sought to shift the blame to the people who became addicted to their highly addictive drug, according to a new filing from Massachusetts Attorney General Maura Healey. Driving the news: The document adds new details to the emerging public image of Purdue Pharma and its former president, Richard Sackler. "The launch of OxyContin tablets will be followed by a blizzard of prescriptions that will bury the competition. The prescription blizzard will be so deep, dense, and white ..." Sackler said at a launch party for the drug, according to the filing. That blizzard happened, thanks in part to aggressive marketing efforts and partnerships with prominent teaching hospitals. Among the most damning accusations in the Massachusetts filing: Accusations that the Sackler family, faced with evidence of how powerfully addictive their product was, shifted the burden back to patients — reinforcing a stigma that public health officials are still trying to combat. "We have to hammer on the abusers in every way possible. They are the culprits and the problem. They are reckless criminals," Richard Sackler said in a 2001 email, according to the legal filing. The other side: Purdue, in a statement to Boston's WBUR, accused Healey of trying to "vilify a single manufacturer whose medicines represent less than 2 percent of opioid pain prescriptions rather than doing the hard work of trying to solve a complex public health crisis."